Located in the historical town of Newmarket, the birthplace and incubator of Treefrog Inc. who will host this years Lasso DevCon workshops and conference. With attention to every detail, LDC2014 gets up close and personal! Treefrog's HQ was officially opened May 23 2014, and includes an award-level designed amazing training space, 100 MB fibre connection, built in AV and best access to the wider LassoSoft team. Be sure to register early as this years event may sell out! With great headline speakers including Lasso's Forefathers Fletcher Sandbeck, Bil Corry, Kyle Jessup, and some of the leaders of the Lasso community such as Jono Guthrie, Brad Lindsay and Jolle Carlestam and others talking on systems, tools and techniques for high performance and intelligent systems design, this conference will add valuable learning and insight to all levels of web developer. The conference will start at 2pm Wednesday October 1st, and finish at 4pm Friday October 3rd, with the Lasso Excellence Awards dinner at 7pm Friday October 3rd as the grand finale event. There are two excellent pre-conference offerings, one for Tuesday Sept 30 on programming fundamentals, and a Security testing workshop on the Wednesday morning October 1st: see below for details. 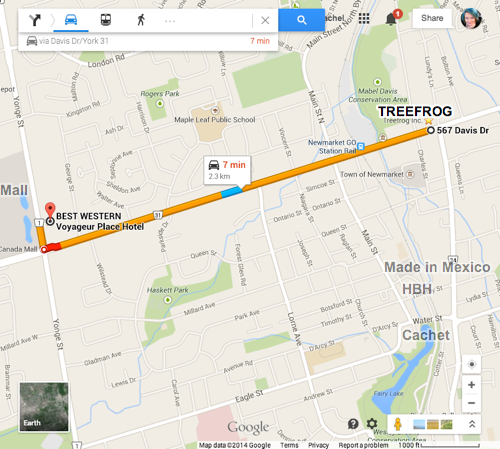 Great value accommodation has been arranged with the Best Western Voyageur Place Hotel Newmarket - the closest hotel to Treefrog HQ. Make your hotel bookings through us at the time of registration for the smoothest conference experience. With an option of a Queen bed room, or, shared occupancy with two double beds, conference accommodation choices are well covered for a great low rate (best in 7 years)! Note: The special rate for rooms expires on 1 September or when no more reserved rooms are available. What's more, if you book through us and take an Accommodation package deal in the preferred hotel we'll even take care of your 35mile/55km Airport transfers, and 1.4mile/2.3km daily transfers between the hotel, Treefrog HQ, and specified event locations for the group dinners (see below) with a shuttle service. We have pre-arranged group dinner venues for the Wednesday October 1st and Thursday October 2nd at popular Newmarket restaurants - "Hungry Brew Hops", and "Made in Mexico" so you can maximize your time networking and learning off the other attendees, and stay fed1 for a hassle-free and budget-friendly price. Group Meals on Oct 1st and Oct 2nd are included in the All-In bundle, Queen Room or Shared Room 3 night bundle, OR can be purchased as an add-on if no accommodation package purchased. Rounding off the conference is our famous Lasso Excellence Awards Dinner, the venue is to be announced, but we're working on a really great place. This year the event will be on Friday October 3rd as grand finale event for the conference, with an after-party add-on option for the night-owls and you have the makings of the best Lasso DevCon ever! Saturday the 4th, instead of lazing the day away with a post-awards glow (you could be one of the lucky winners), you can choose to peruse Upper Canada Mall across from your Hotel for gifts to appease your loved ones, or, take in a day excursion (9:30am -5pm) with sightseeing, lunch, river boat cruise, visits to unique sights followed by a visit to a popular local brewery on the way back to your hotel. The whole day is made even better with you being accompanied by leading Lassoers who you can glean even more useful insights from. Exact excursion details to be determined based on numbers signed up. 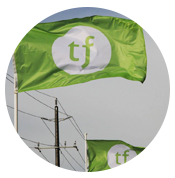 Hosted by Treefrog's development team, learn about the fundamentals of great programming. Held on Tuesday Sept 30 the day ahead of the formal Lasso Conference, this workshop will include both conference attendees and local Treefrog associate programmers and learners. Hosted by Bil Corry, Information Security Professional. Ever wonder what it would be like to be a pentester? Or do you want to improve the security posture of your application? This session covers using the Burp proxy (a free, Java-based cross-platform proxy) to manually test a webapp for common vulnerabilities (XSS, SQLi, CSRF). This will be hands-on workshop, so please bring your laptop. Signup via the Conference Registration, and tick the option to include this workshop. Airport Transfers only $99* two people pickup, $150* single person pickup. 1 Dinner Meals include three courses from set menus, with special dietary needs catered for. NOTE: Beverages are not included. A cash bar will be available. Recognizing achievement & excellence in using Lasso. Prepare to submit nominations for Lasso-based systems or websites. Registration into the 2014 round will open in August.